The most common finishing stitch for Hardanger work is the woven bar, because it sets you up to do all the fancy filling stitches later. The starting procedure for the woven bar is the same as for the wrapped bar. Secure your thread in a Kloster on the underside. Bring your needle up in the middle of the 4 fabric threads (see picture). You will be weaving in a figure-8. Again, I work from right to left, and I start by weaving over the top thread. I hope the pictures are helpful in illustrating this. Once you have a little bit of practice, this will seem so easy to do! So, you’ve brought your needle up through the middle of the fabric threads. 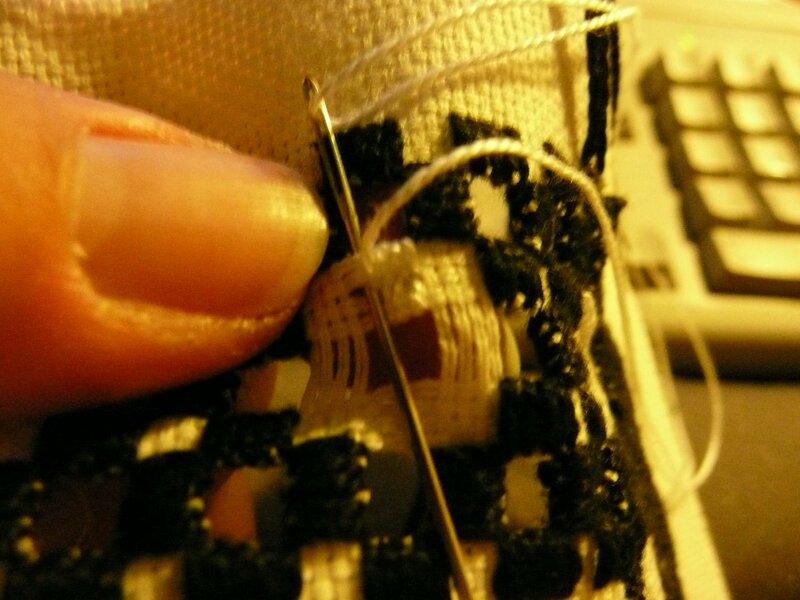 Go over the top 2 threads, and pass your needle back through (pnbt) the middle of the threads. Then go over the bottom 2 threads and pnbt the middle (see picture). This completes one figure-8. Depending on your fabric count, the gauge of thread, and your tension, you should be able to comple 6-10 figure-8s on one side of a square. Just like in wrapped bars, when you finish a side, pass your needle from the underside. 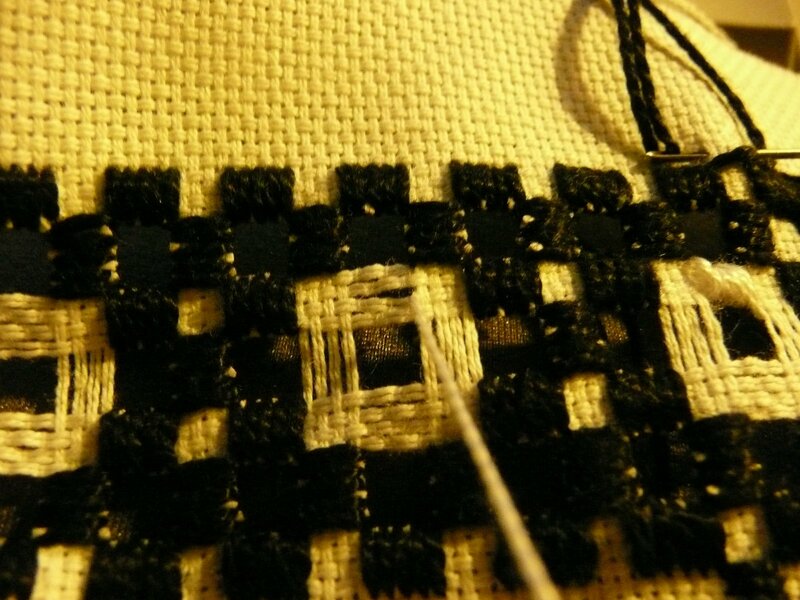 So when you complete your final figure-8 on side 1, pnbt the middle and bring it over the top before coming up in the middle of the threads on side 2. This will ensure that your weaving on side 1 stays snug and keeps your thread path invisible.